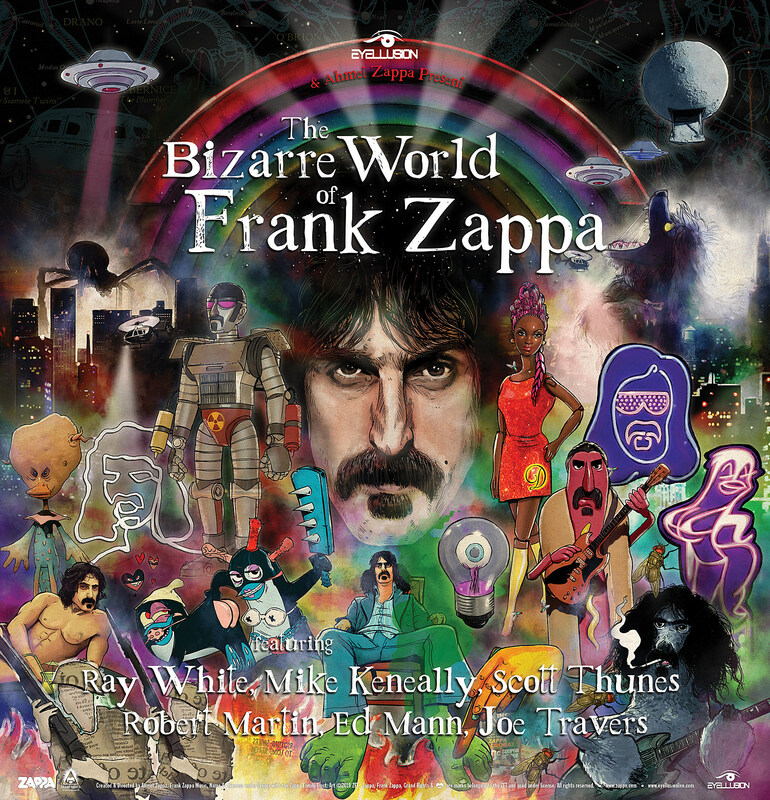 We’re excited to world premiere a handful of Frank Zappa compositions; these mind-melting concerts we’re putting together celebrate the music, often surreal imagery and humour synonymous with Frank. We will be pushing the limits of what anyone has seen holographically on stage before in a live venue. Circumstances, objects, places and subject matter from Frank’s songs and imagination will be brought to life for the first time on stage. We are anthropomorphizing Frank’s music utilizing various visual techniques, art styles, classic imagery from his album artwork and characters from his songs, culminating in one extremely bizarre, live music experience. The tour hits the NYC-area for shows on April 19 at the Capitol Theatre in Port Chester (tickets); April 22 at Count Basie in Red Bank, NJ (tickets); and April 24 at The Paramount in Huntington on Long Island (tickets). The Capitol Theatre show goes on sale Friday (2/15) at noon and the NJ/LI shows go on sale Friday at 10 AM, with various presales starting beforehand. All dates are listed below. Steve Vai had said he was “invited to contribute to 3-4 shows” of the tour, though there’s no word of his involvement in the announcement for these dates.